our kitchen is located at 4070 bonita road, bonita, ca. View Hours of operation and pick up or delivery Days & times. find out what's new on the menu. To make eating healthy and convenient for active families, busy professionals, and fitness enthusiasts. Freshly Prepped offers weekly Menu items that are fresh and available for pick up daily. 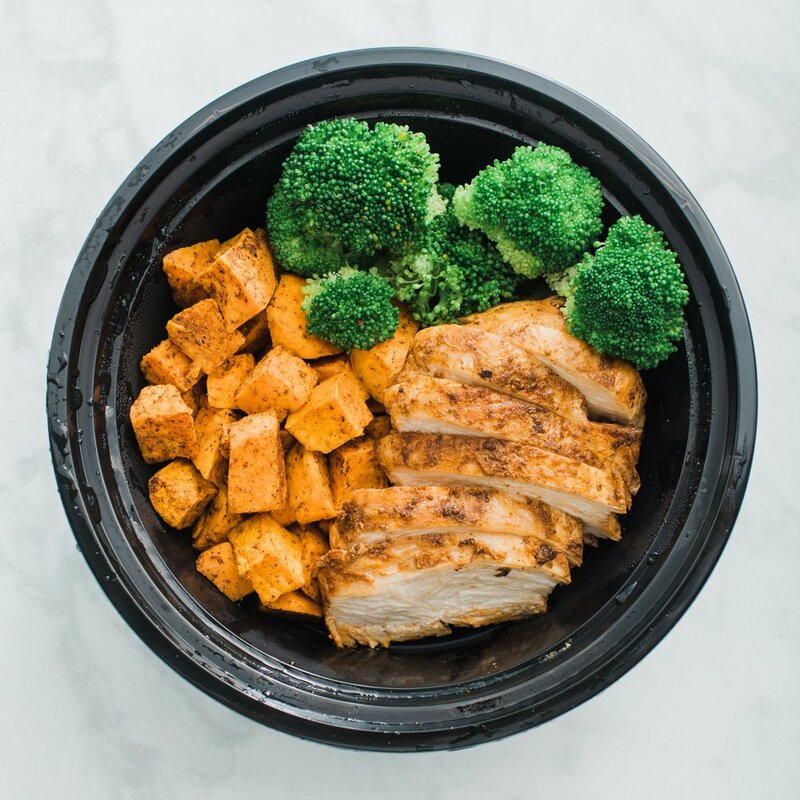 We offer Meal Plans that are a healthier way to set up an entire week or month of meals. We believe in the choice to live well and we nourish our clients by providing these food services. Freshly Prepped is dedicated to working with the community by supporting local farmers as much as we are able, using local sourcing. We guarantee that by living the Freshly Prepped lifestyle you will feel the benefits, see the benefits, and taste the difference. We promote healthy eating, healthy living, and supporting one another in our community. We are a fresh food, full service kitchen. We offer members and guests single pre-made meals purchased daily or meal plans that can be ordered by the week or by the month. Each meal is specified by a protein and sides will vary and change out depending on the season. If you are in need of a specific ingredients or wish to have your meals customized we are able to adapt to your needs, please specify your dietary restrictions at check-out. Whether your goal is weight loss, weight gain, family affordable easy meal plans or catering. We believe we offer locals the resources they need. Our meals keep for 5 days refrigerated and are freezable. We encourage you to sign up for the entire month. Enjoy life knowing all your meals will be prepared and delivered each week fresh and ready eat, how cool is that! "The Freshly Prepped Calendar of Events & Social Happenings"
Here you can register for classes, join a group session, attend special events and more! Click on any event to get started.